The former Indian cricketer stated that in India, sports were run by businessmen, bureaucrats etc. He questioned the non-existence of civil services like Indian Sports Service. 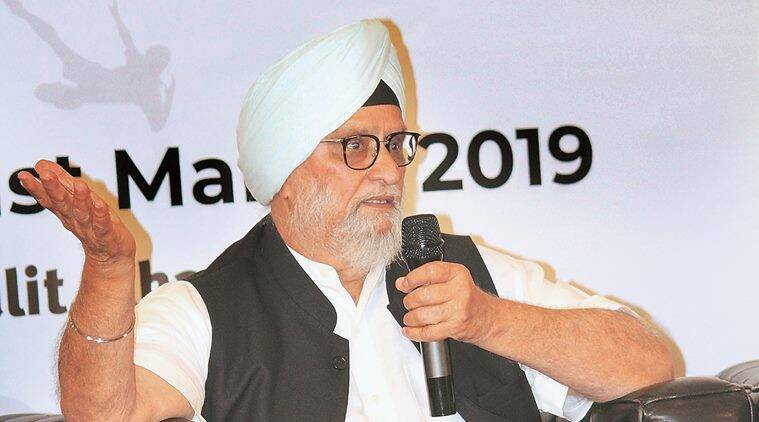 “Why do we not have civil services examinations so that even spots can be administrated in the country?,” pondered Bishan Bedi at Sports Literature Festival in Chandigarh Saturday. The former Indian cricketer stated that in India, sports were run by businessmen, bureaucrats etc. He questioned the non-existence of civil services like Indian Sports Service. “We need to make that happen. We need this kind of platform. BCCI is controlling cricket in India. However, what is the need of controlling cricket? It needs an administration. We do not need controllers but administrators and for that, why can’t we have Indian Sports Service? We have to reach that stage where we can demand an administration like this,” he said. Zeeshan Ali, India’s current Davis Cup coach and Tennis coach Vishal Uppal were also present at the event. During a panel discussion, Zeeshan Ali said as compared to other countries, there was lack of tennis tournaments in India. “The need of the hour is to educate the coaches so that young players do not go abroad for coaching. We can give them better coaching here,” he said. Parents also need to support their children if they are opting to go in sports. There is a lot of opposition to young aspiring players in their families and they never come forward. “Parents need to trust and allow children to grow. In India, we face to much parental pressure and there is a lot of opposition. But now, we need a better system in place,” said Vishal Uppal. Vishal, who has played Davis Cup in 2000 and 2002, believes that kids need more support to bring their talent forward. “Kids today are more aware and knowledgeable, but we need to support them,” he said. “I am fortunate enough to have been born in a family that supported me and inspired me to do whatever I wanted,” she added.